Representatives from 12 countries have attended new Organisational Capacity Programme workshops delivered by the Agitos Foundation and IPC Academy. The first edition of a new set of a workshops, aimed at supporting National Paralympic Committees (NPCs) in improving their overall capacity to develop and support para-athletes in reaching their full potential, have taken place in Bonn, Germany. The Organisational Capacity Programme, delivered by the IPC Academy and the Agitos Foundation, is a four-day programme designed to strengthen NPCs in the areas of governance, management, leadership and sport promotion. Speaking from the workshop, Bojan Jacimovic, General Secretary of the Serbian NPC, stated his excitement to date with the programme. “I really like the attitude of the lecturers, I find it really motivating and it has changed my attitude towards work. I’ve learnt a lot. Serbia have competed in two Paralympic Games and have won a total of seven medals (two gold and five silver) in those Games. Another participant Fiona Paulin, General Secretary of the newly recognised Seychelles NPC, said: “I'm finding it interesting because it's helping me with my presentation skills. I’ve learnt that we need to use different strategies and not just one [to help us achieve our goals]. The programme prioritises learning and training opportunities for NPCs and NFs (National Federations) staff and volunteers in the key areas that the IPC targets as strategic priorities, so that they can deliver workshops in their own countries and regions and take para-sport to new levels. With resources now available through the IPC’s development arm, the Agitos Foundation, the aim is to create such educational opportunities with NPCs during 2014-2015, through the Organisational Capacity Programme. This will lead to a regionally based level two programme and additional scholarship opportunities for those who excel to progress on to the World Academy of Sport Postgraduate Certificate in Sport Management. 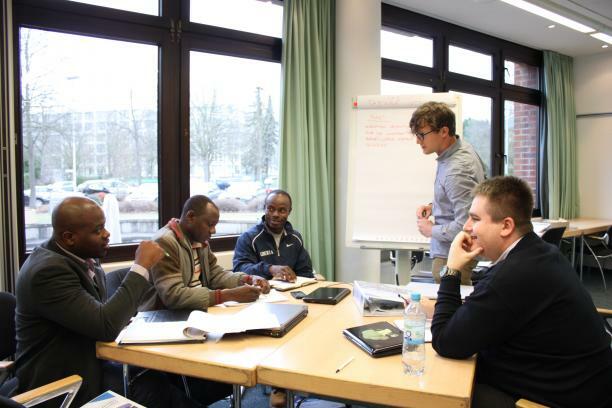 The programme being delivered in Bonn, Germany, the home of the Agitos Foundation, will train selected individuals to lead the level one programme in their own countries. Participants in the programme represent 12 nations across the world from the IPC membership. The programme is using the ‘train the trainer’ methodology which will in turn allow participants to focus on identifying and acting upon the needs of their NPCs and delivering programmes specific to those requirements. The Agitos Foundation will then work with the delegates for a further two years, providing support when needed to help achieve the long term plans of the NPCs and inspire those throughout the Paralympic Movement. You can find out more about the Organisational Capacity Programme at the Agitos Foundations’ dedicated website.